Der Artikel Hugo Wolf (1860-1903): 53 Mörike-Lieder wurde in den Warenkorb gelegt. 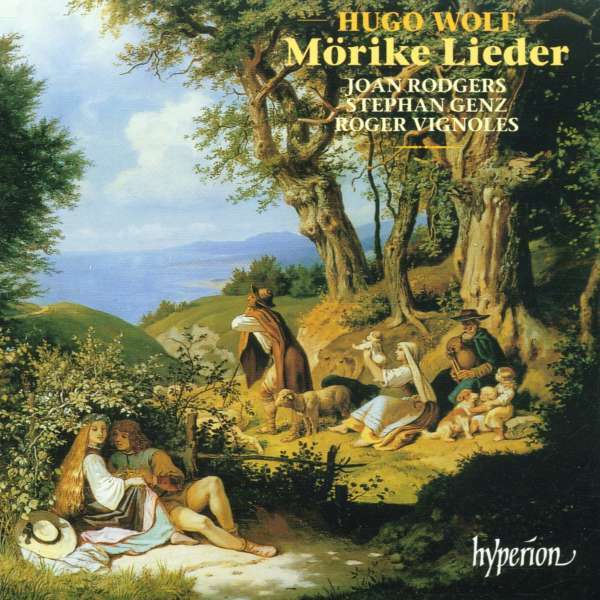 This distinguished set brings together all of Hugo Wolf's so-called 'Mörike' Lieder, the first of the great songbooks on which the composer's reputation rests. Eduard Mörike was the author of poetic idylls and delightful fairytales, a bucolic, charmingly inadequate and ineffectual country clergyman at one with his surroundings, and a nature poet par excellence with an engaging sense of humour. His poems inspired Wolf to write some of his most popular, enduring, and endearing songs, though there are many in the collection which are not as well-known as they should be. Astoundingly, all 53 were written within a few months in 1888. 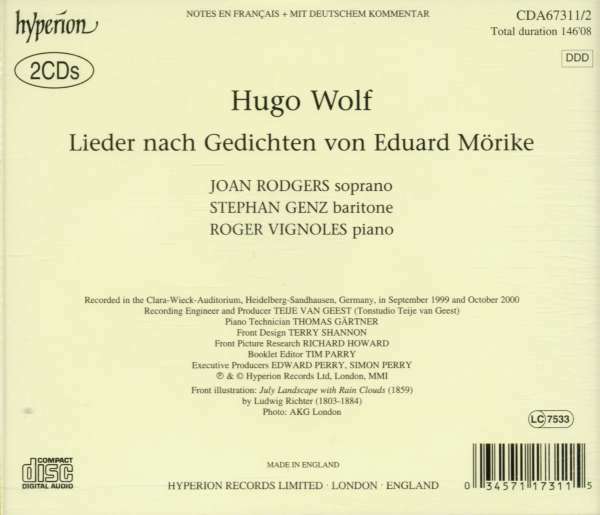 Soprano Joan Rodgers was appointed a CBE by Her Majesty the Queen in the 2001 New Year's Honours list, and Stephan Genz was, of course, the recipient of a Gramophone Award for his Hyperion CD of Beethoven songs with Roger Vignoles. Together with Roger, our two singers bring these delectable songs to life as never before. Hörprobe Track 5: Wo finde ich Trost?